Errands consumed most of my day today. By the time I returned home this afternoon, I was way behind on my step goal. It was a fine evening and so I decided to walk down to Zushi Beach and watch the sunset. Along my way, I took pictures of some of the hydrangeas. They are blooming everywhere. This is only about half of the ones I passed! I love how they are literally growing everywhere. Behind fences, through fences, underneath unused clotheslines, and in the smallest of flower beds. Most are the traditional hydrangeas. Plus a few of the lace ones. I arrived at Zushi Beach at 6:30pm. My timing was perfect to catch the sunset. I took a brief video. It was a pleasant evening. Small breeze and cooler temps by the water. As the sun went down behind the mountain, Mt. Fuji became even more predominant. Thanks for letting me share the simple beauty of Japan! Yesterday morning, I was talking with my Mom and some how our conversation turned to the “guy with the rose garden.” She mentioned she would like to she his garden when she visits. She is planning her visit for November and understands the roses will not be in bloom at that time. She just said she wanted to see it anyways. Sure, that’s easy. It’s on our way to Zushi Beach. I thought it was cute she remembered my Running Past Roses post from last year. I also realized I haven’t shared any pictures of his roses this year. When I returned from my Florida Road Trip, the rose garden had an abundance of blooms. They are so beautiful. I took a few pictures and sent them to Dina. I think of her each time Dave and I ran past the rose garden. This one might be my favorite. The beautiful rose blooming and the construction in the background. Ahhh, wabi-sabi. Beautifully imperfect. When I ran past this morning, I took a few more photos. Mixed in with the roses are beautiful clematis. He takes such good care of his rose garden. He sweeps and trims every day. It truly is a beautiful garden. Besides the roses blooming, I have more great news. The hydrangea are starting to bloom. I took these pictures this morning at the Daiichi Undo Park. The park is about one mile from our house and part of our daily running route. Hydrangeas make me happy. They make me think of Anne Geddes pictures with cute babies with hydrangea hats. I think I had this picture back in the ’90s. And they make me think of our house in Chicago and Hannah B. Oh, man. That face can give the cute babies a run for their money!! Please prepare for a couple weeks of hydrangea posts as I make my way around Tokyo and Kamakura chasing flowers. Saturday afternoon I had the delightful pleasure to meet the Thompson Family at Haneda Airport. All smiles even after the long flights. Their flight arrived early afternoon and we made our way back home. We had the red carpet staged for their arrival. We needed to keep everyone awake for a few more hours. 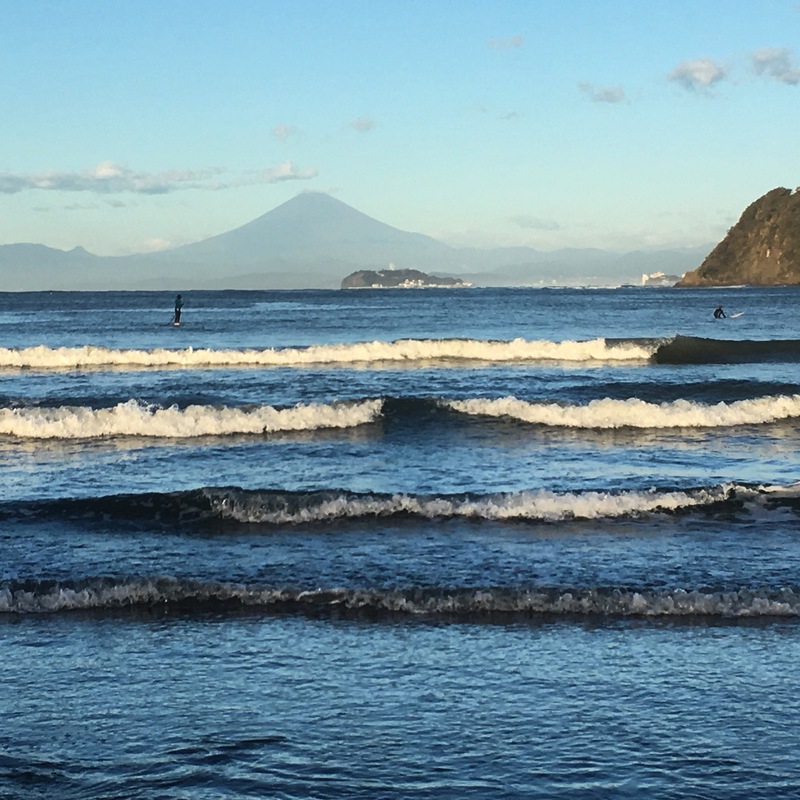 We took the train to Zushi and then walked down to Zushi beach. Keeping things simple and traditional, we enjoyed ramen and fried rice for dinner. Plus, a cookie surprise for dessert. We managed to keep everyone awake until about 7:30. By then, eyelids were drooping and exhaustion was taking over. A good night sleep was what everyone needed to prep for Sunday’s Tokyo adventures! A short post to share two of my favorite local Sakura spots. The first is Zushi Highlands. I drove through here on Thursday morning on my way to Costco. As you watch the video, please remember – I’m not a bad driver. We drive on the left in Japan. Please enjoy the trip driving through the Sakura tunnel. Thursday afternoon I went to Shomyoji Temple. The restored garden and temple is a beautiful setting for Sakura viewing. The garden is about a 15 minute walk from the closest train station. On such a beautiful day, it was effortless. One of my favorite views is of the Sakura trees and the bridge. So lovely. After my visit, I headed back to the station. I was lucky to ride home on a kawaii train. Rilakkuma is a fictional Japanese character. His name means “relax bear” and he is celebrating his 15th birthday this year. The Keikyu Line is celebrating a 120th Anniversary this year. They are celebrating together and many of the trains have been decorated with large stickers. Just when I thought train riding in Japan couldn’t get any more fun – it becomes even cuter! This morning I decided to take a different route on my run. The route I took was one Dave and I ran a lot last year when we were training for Tokyo Marathon. It made for a little longer and little hillier run than our normal run to Zushi Beach. I knew the Sakura lined streets would be worth the extra efforts. I didn’t have to go too far to start seeing Sakura trees. They are literally everywhere. This temple and bridge are on our normal route. I wish you could smell the incense from the temple. Add the sunrise and I found my Zen. Shortly after I took these pictures, I turned left away from the beach and ran uphill towards Hayama. I went about another mile before turning up an even bigger hill. The view from the top was obstructed by Sakura. Not a bad reason for no view! I decided to walk down the hill. The sidewalks were brick and very uneven from the Sakura roots. I didn’t want to trip. Plus, I wanted to savor this view. I took a quick stop at the park to take a few close up pictures of the Sakura and a sunrise Sakura selfie. I continued down the hill and was completely amazed with the beautiful trees. This street is less than 1.5 miles from the main gate where we live and there was no one around other than cars passing on their way to work. It was such a contrast to my day yesterday. I was happy I decided change my route so I could appreciate their beauty in the early morning. I continued past the park near our house and took a few close up pictures. Finally, I made it back home. I crossed the set of railroad tracks near our house and chuckled. Right by our housing complex is a river with Sakura planted along it. It’s like Meguro River, only much smaller and not crowded! After four days of Sakura chasing, I can completely understand the obsession. I feel like I have a little Sakura crush of my own. Dave and I discovered a couple months ago that our PASMO Card (train card) could be used to pay for purchases at certain stores. The most important places it can be used is at the numerous convenience stores. Like Family Mart. 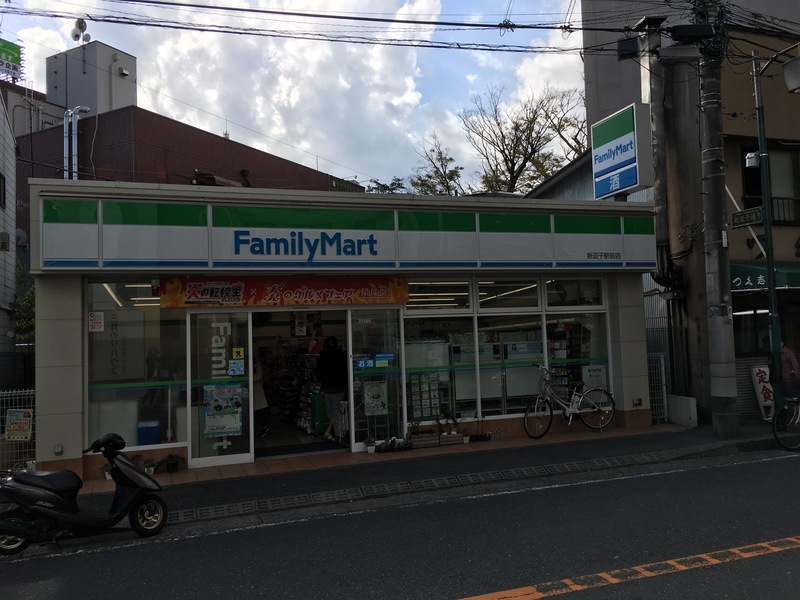 This is a picture of the Family Mart I probably frequent the most. It is in Zushi and about a block from the train station. This is where our Friday Morning Folly occurred. Let me back up a second and set the stage. Today is an American Federal Holiday observing Veteran’s Day. Dave needed to go into work because his Japanese employees were working a normal day. However, he didn’t have to be in so early. Instead of a 3:50am reveille, we could snooze until 5:15am with the goal to be running by 6:00am. Easy day. We grabbed our ID cards and PASMO Card (one required and the other just in case) and headed out for our run at 6:02am. 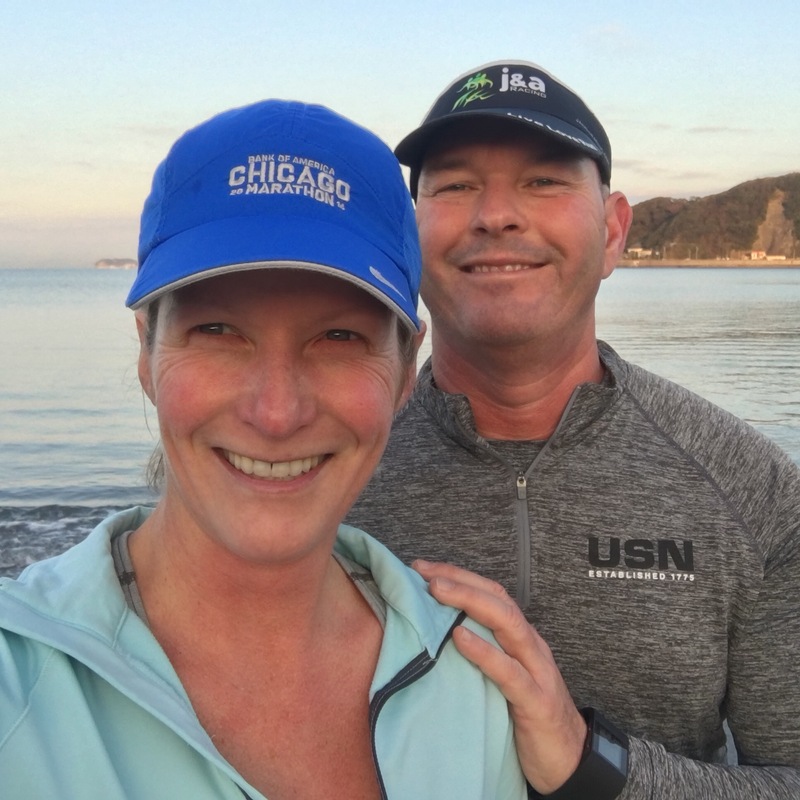 We ran down to Zushi Beach hoping to catch a view of Mt. Fuji. Unfortunately, the morning was not clear enough. 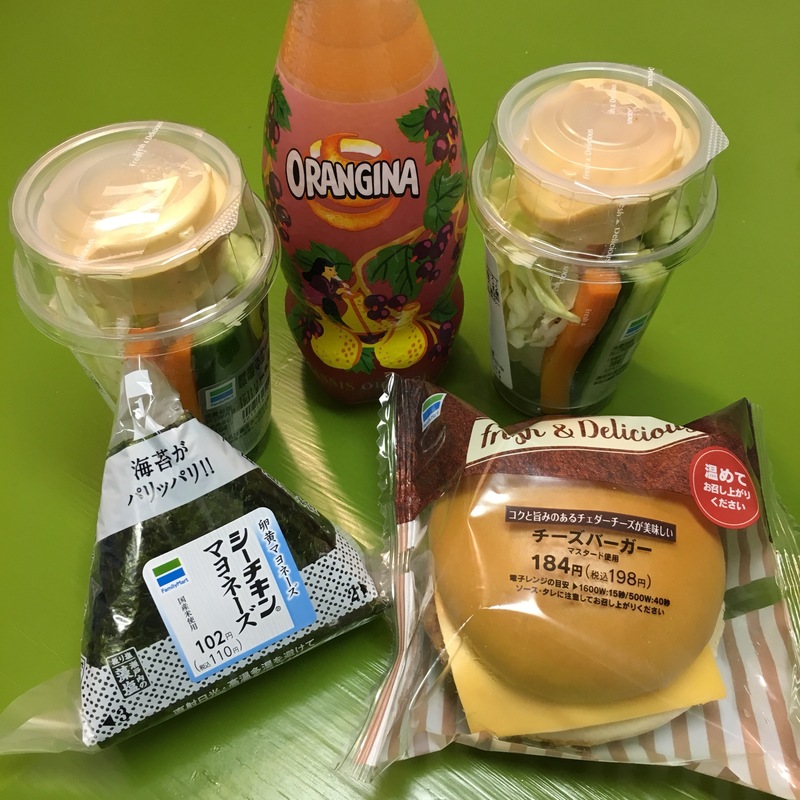 We doubled back and decided to stop at the Family Mart to grab food for lunch. Then we would just take the train home. 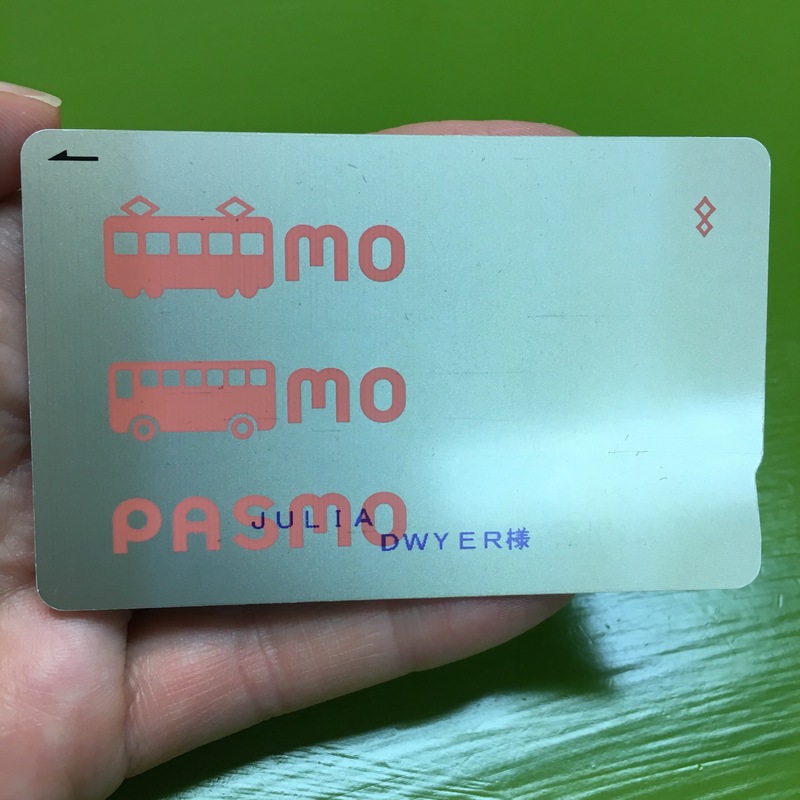 Here’s where it’s important to remember the PASMO Card can be used at convenience stores. We grabbed our goodies and I whipped out my Passmo to pay. I was a total champion at this point. Side note: the cheeseburger is for me! It’s one of my lunchtime favorites. If you want, they will even heat it for you. I tapped my PASMO Card for the ¥1252 purchase. And then I saw my balance ¥88. Oh, shizzle. It cost ¥130 to train home. Dang it! Well, looks like I’m running home. Dave asked if I had any coins on me. Nope. Take the bag. I’ll see you at the gate. It was exactly a mile from station to main gate running the most direct route possible. I was hoping to beat the train. I didn’t. Dave was waiting for me at the main gate. The Japanese security guard asked why my husband was already here. Ha! Because I didn’t have enough money on my train card. He laughed, too! Want to know what’s even funnier? 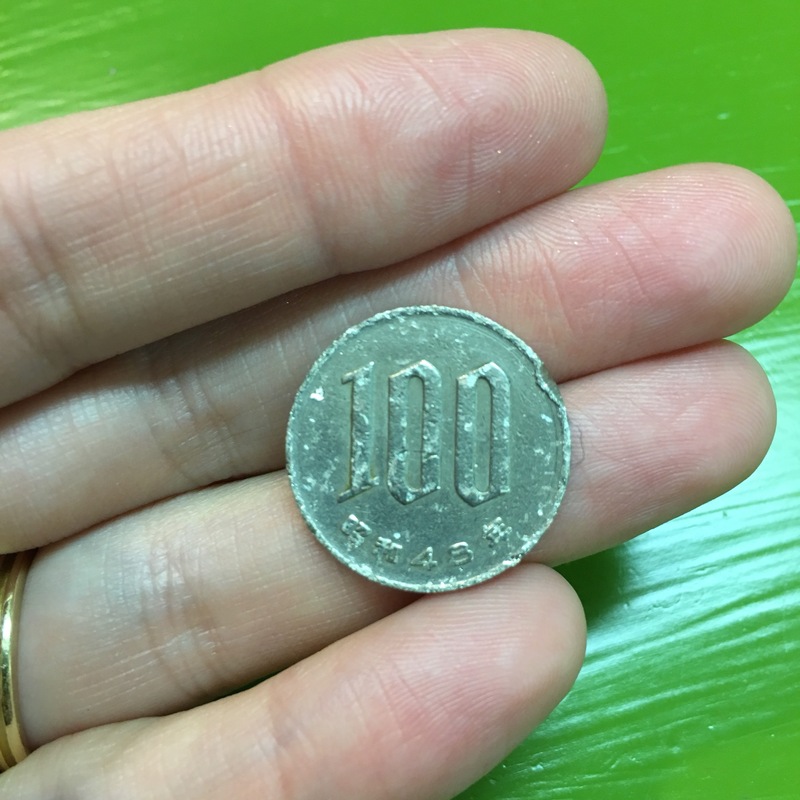 On my run home, as I passed the park, I found ¥100 piece on the road! Nicely beat up from being run over repeatedly. If only I found it a mile earlier! I’m usually pretty good about having my train card charged. I apparently forgot about my two trips to Tokyo this week! Nonetheless, a valuable lesson was learned without dire consequences. Happy Friday! Kanpie! The storm cleared out last night and sunrise greeted us with an amazing view of Mt. Fuji. It looks like the little bit of snow cap on Mt. Fuji already melted. I have no doubt it will return very soon! The rest of my day was filled with errands. When I finally made it back home, the crisp temperature and leftover breezes from the storm made me want to bake up some fall treats! I made the always delicious pumpkin cinnamon rolls. 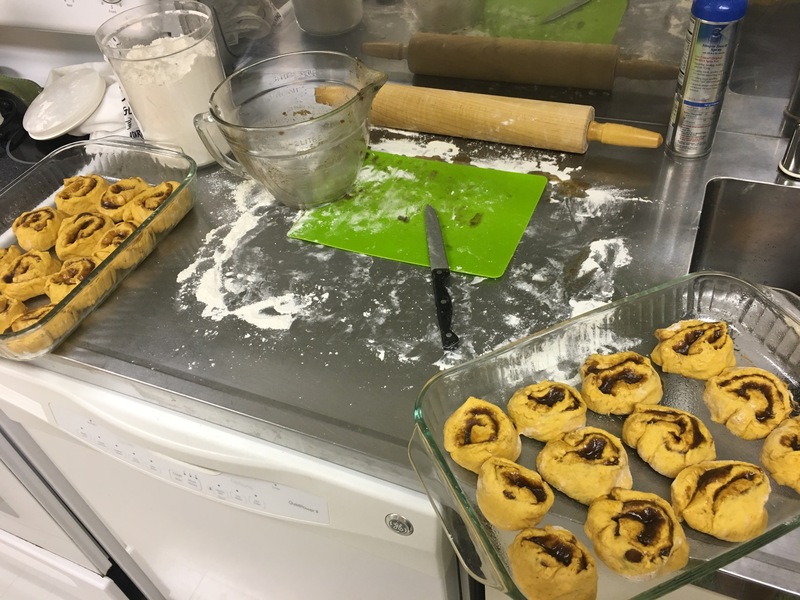 Along with tasty, these rolls deserve the prize of messy! I had a little helper as I baked. 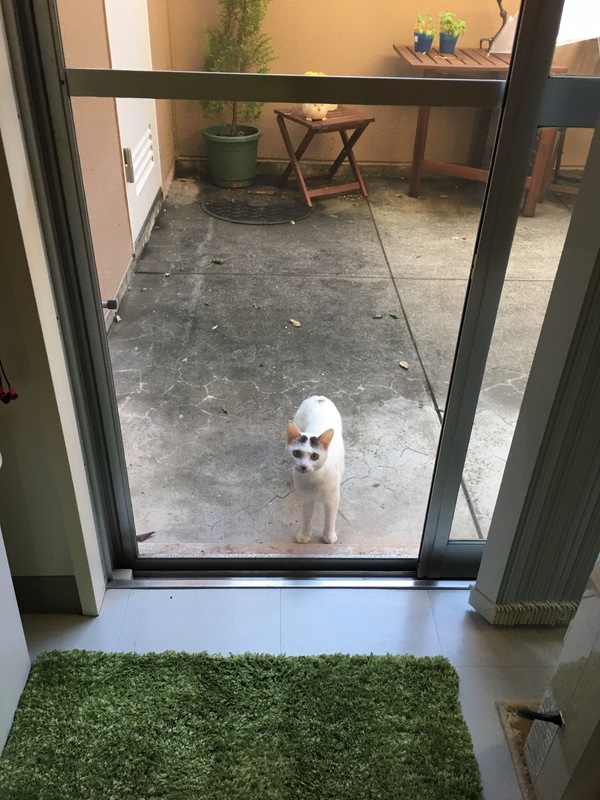 This little guy came to my screen door and chatted with me. I decided to name him Groucho. Because, eyebrows! Just so we are clear, I did not feed him. Nor did I coax him to my house. And I am NOT adopting him. I just thought it was cute he followed me home. He left as quietly as he came, once he realized I wasn’t going to give him snacks. 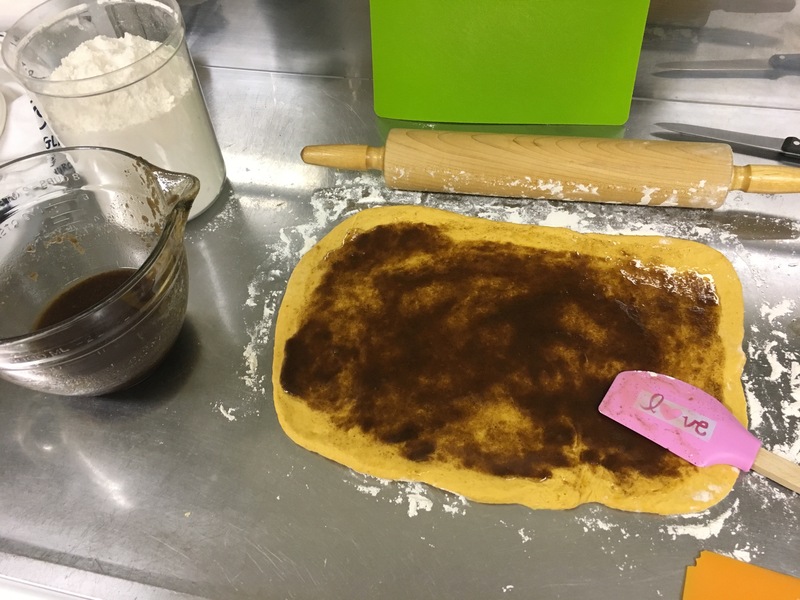 I will bake the beautiful pumpkin rolls in the morning and send them into work with Dave. Happy Halloween to SRF. All treats – no tricks!